The Airbus A400M Atlas, a huge four-engine military transport aircraft, was due to land at Rock Barracks on a simulated desert airstrip, as part of its development trials. 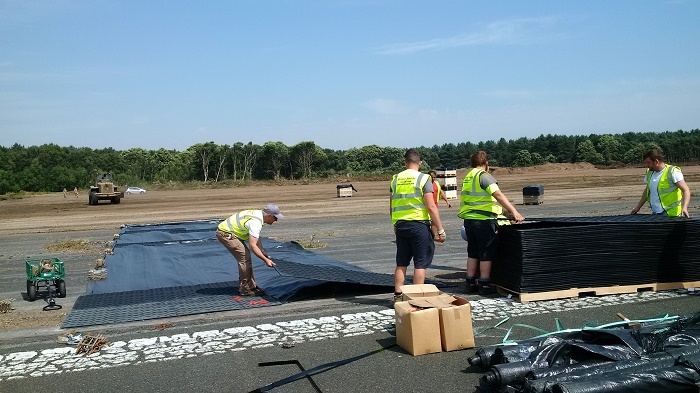 A temporary taxiway was needed over an 8 week period to taxi the plane safely across an area of decaying tarmac and concrete. 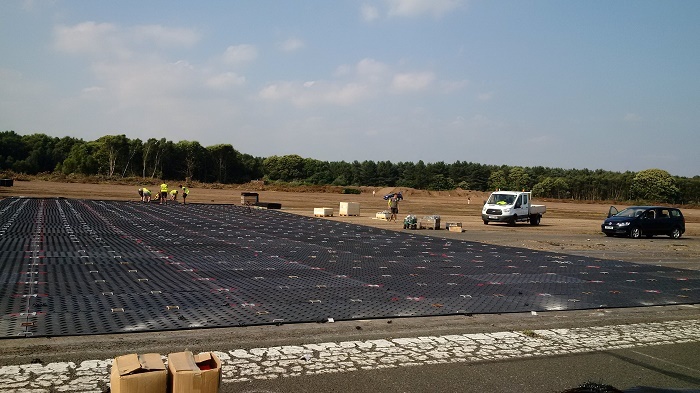 After consultation with the Ground-Guards team, it was clear that the solution needed to be strong, durable and capable of carrying a gross weight of up to 120 tonnes. In addition, boards that could be handled easily and laid quickly would help speed up the job and save money on time spent. 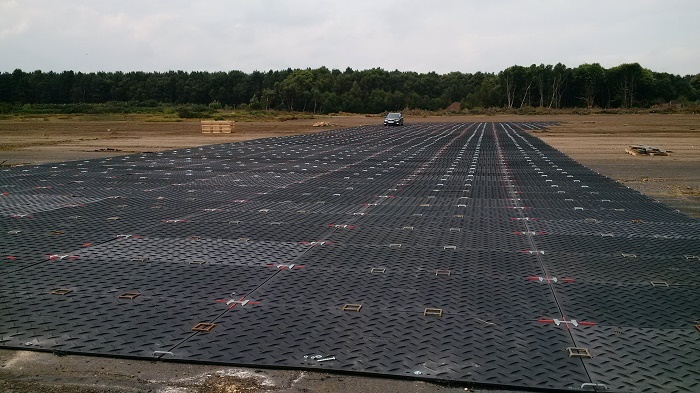 We advised that MultiTrack would be perfect to fulfil all these needs, covering the uneven ground seamlessly to create a flat surface. 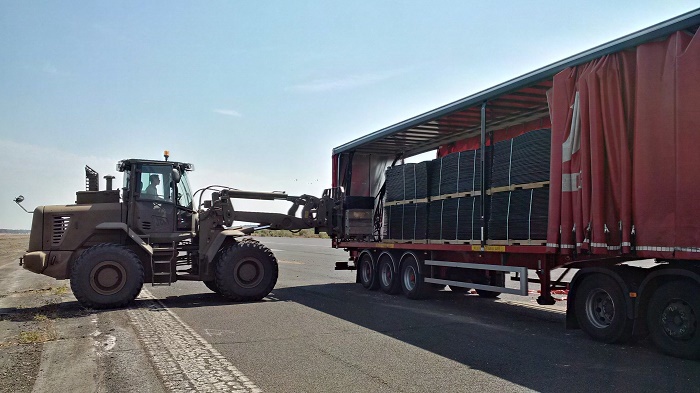 MultiTrack mats only weigh 39kg and yet are guaranteed unbreakable for loads up to 120 tonnes! 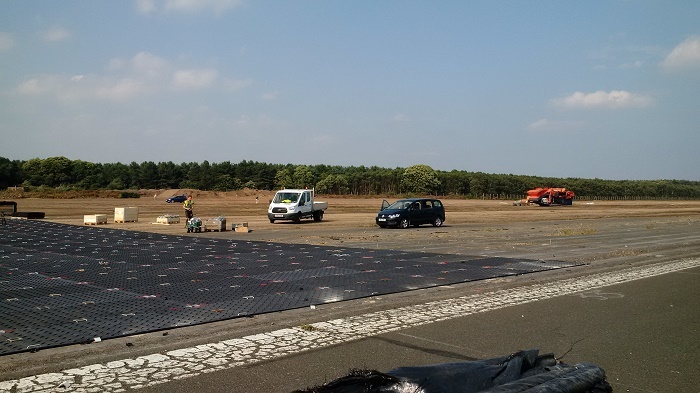 A fantastic-looking, functional taxiway, 3,600 m2 in size, was built in no time. This was perfect to manoeuvre the huge weight of the airbus, enabling it to taxi safely over uneven, fragmented concrete, with no damage to the plane. A job well done!